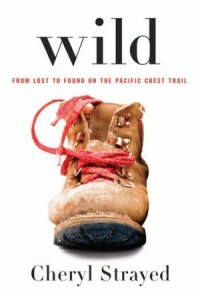 Wild: From Lost to Found on the Pacific Crest Trail Wild was recently selected for Oprah’s Book Club 2.0. This book is not a hiking guide but a strong memoir that reveals the scary truth. The main story centers around a grueling 1100 mile hike done by a young woman all by herself. Not only did this hike break her down it was also able to bring her back to life. After turning 22, the author Cheryl Strayed believed she had lost everything in her life. After her mother died she found both her family and personal life in a hot mess. After four years, she decided she had nothing nothing more to lose, so she decided to hike what is known as the Pacific Crest Trail. It stretches from the Mojave Desert, goes through the states of California and Oregon, ending in Washington State. She had never hiked long distances before and she wanted to do this hike all by herself. She was more interested in the prospect of being able to figure out her life as she hiked the trail. On her solo journey she comes across rattlesnakes and even black bears. The weather is also unforgiving with periods of extreme heat and heaps of snow. As you read this book you will feel the suspense, the warmth and my personal favorite her humor.This book does a great job when it comes to accurately capturing the terror as well as and pleasures of Cheryl. You get to experience all her emotions as she hikes the and ultimately completes the trek ready to start living again. Why would I recommend all the women around the world read this book. Well simply put, you need to read how Cheryl Strayed writes with brutal honesty. She even exposes not only her strengths but also her weaknesses. The book is well written, and does a good job at revealing this situation which is familiar to many women. However unlike those women she is able to write about it and make it real for everyone else. js8XTA Looking forward to reading more. Great blog article. Fantastic. Wow, amazing blog layout! How long have you been blogging for? you made blogging look easy. The overall look of your site is great, as well as the content!. Thanks For Your article about Wild . Hi, how are you? I hope you are doing well. I wanted to say that I like this article. Wow, awesome blog layout! How long have you been blogging for? you made blogging look easy. The overall look of your web site is fantastic, let alone the content!. Thanks For Your article about Wild . Hello There. I found your blog using msn. This is a really well written article. I will make sure to bookmark it and come back to read more of Wild . Thanks for the post. I will definitely return. Hello There. I found your blog using msn. This is a really well written article. I will make sure to bookmark it and return to read more of Wild . Thanks for the post. I’ll certainly comeback.